The tournament is one of three French events of the ATP World Tour 250 series, along with the Open 13 and the Open de Moselle. The Open Sud de France (formally known as the Grand Prix de Tennis de Lyon) is a professional tennis tournament played on indoor hard courts. It is currently part of the ATP World Tour 250 series of the ATP Tour. It was held annually at the Palais des Sports de Gerland in Lyon, France, in October, from 1987 through to 2009, before being relocated to Montpellier in 2010. The tournament will take place in the ARENA, holding 7,500 spectators. The 2016 Open Sud de France will be a tennis tournament played on indoor hard courts. 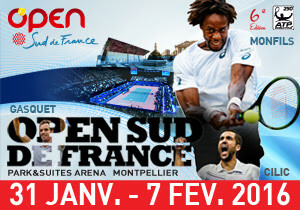 It will be the 29th edition of the Open Sud de France, and part of the ATP World Tour 250 Series of the 2016 ATP World Tour. 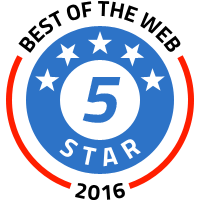 It will take place at the Arena Montpellier in Montpellier, France, from February 1 to February 7, 2016. After an exciting opening month of the season in Australia and Asia, ATP World Tour action returns with two European tournaments and the first of five events in the Golden Swing in Latin America. Six of the Top 20 overall in the Emirates ATP Rankings (as of Feb. 1) are in action. OPEN SUD DE FRANCE (Montpellier) – Leading the way in Montpellier is World No. 10 (as of Feb. 1) and reigning champion Richard Gasquet, No. 2 seed Marin Cilic, No. 3 Gilles Simon and No. 4 Benoit Paire. The other seeds are: No. 5/two-time winner (2010, ’14) Gael Monfils, No. 6 Joao Sousa, No. 7 Borna Coric and No. 8 Marcos Baghdatis. Overall, five of the Top 20 in the Emirates ATP Rankings are playing in the 28-player field.